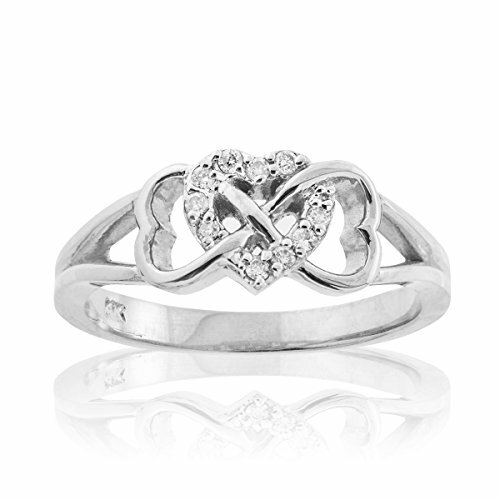 Love & Eternity - This white gold diamond ring shows the infinity symbol with a heart intertwined at the center. It contains 10 diamonds and was polished to perfection by our in-house jewelry makers. Strengthen your bond as you reassure your endless love for your special someone by giving her this exquisite White Gold Diamond Infinity Heart Ring, and it is certain that she will wear it with pride.